When owner Conni Huntley reflects on Oak Tree Academy’s move from La Mesa to their new location in El Cajon, the preschool administrator admits it was she who dragged her feet. Roseann Rinear, Huntley’s business partner and a longtime Jamul resident, didn’t share her concerns in that regard. The dilapidated state of the property, however, had them both a little nervous. One of these men is Michael Chiles, whose daughter is now in kindergarten, and whose son is still enrolled at Oak Tree. At the mention of Wonder World, he recalls the important things. “I remember eating butterscotch pudding for the first time, and realizing that something that looks so weird could taste so delicious,” said Chiles, now an information technology architect who lives with his family near El Cajon’s Mount Merrit. Chiles said several of the kids who attended Wonder World with him went on to become his kindergarten classmates and lifelong friends. He also remembers one of his very first academic lessons: learning the shape of the triangle. 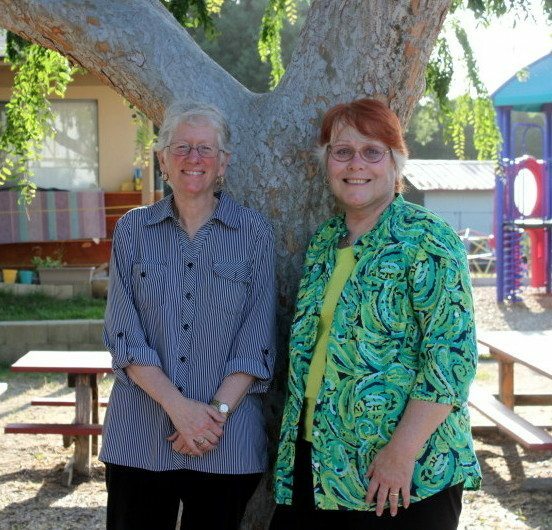 According to Huntley, Wonder World was considered the premier preschool of East County in the 1970s by parents and teachers alike, and they hope to revive that reputation through Oak Tree. Once owned by the White family, Huntley said Wonder World kept its sought after reputation through the 1980s until it was sold. The school then switched hands a few times and began to lose its identity. By the time Huntley and Rinear bought the property, the school was a shell of its former self, with worn floors, peeling cabinetry, screenless windows and old toilet stalls, some of which had been converted into makeshift storage closets. But the state of disrepair was no match for the dynamic duo. Both in their early 60s, they spent hours alongside contractors stripping away the neglect and refurbishing the nearly 1-acre property, creating yet another chapter in their storied friendship of 12 years. The two became immediate friends and have been nearly inseparable ever since. The front of the property prior to any renovations. Beginning construction on one of the classrooms. Rinear’s journey in child development began in the 1970s, when she taught as a third grade teacher at a Catholic school in Los Angeles. Rinear said the nuns there encouraged her to take a leave of absence and embrace motherhood after she became pregnant with her first son. Rinear said her introduction into the preschool profession initially began as a way to escape boredom, adding that it was her husband who originally suggested the idea after the second of their four children were born. “He said, ‘Why don’t you open a preschool? You’ve got two kids right here.’” Rinear said. And so the original Oak Tree Preschool was born. Although she decided to close Oak Tree when she moved to San Diego in 1984, Rinear remained active in the field. She went on earn a master’s in education before receiving a doctorate in child and youth studies in 2003. She also served on the National Head Start Consultant list for four states, was part of the High/Scope Institute for Child Development Research, and oversaw 40 schools as the divisional director for La Petite Academy. In 2001, Huntley and Rinear joined forces to further develop Rinear’s brainchild, The Preschool Source, an international consultation business for preschools in need of operational assistance. It was this consulting business that eventually inspired them to open their own school. In 2008, they decided to open the second edition of Oak Tree Academy. Much like its humble beginnings in Los Angeles, Oak Tree opened with just three children in attendance. Today, Huntley said, they have 75 students and 14 teachers. For Rinear, the biggest challenge of running a preschool is taking care of “someone’s treasure.” The second is developing the most viable curriculum. She said it’s a never-ending process involving research as well as adaptations from previous experience. Huntley, who began babysitting at 11 and running a church nursery by the time she was 13, couldn’t agree more. She said she never wants her students to hate school the way she did. Michael Chiles said he’s seen firsthand the positive effects of this approach in his 4-year-old son, Jack, who only began talking about a year after attending Oak Tree. Wow! A school with heart and history. Way to go. ladies! Thank you. And thanks, Annie, for the story. The school looks beautiful and you’re right on target with your philosophy. I wish that my 3 children were still young enough to attend Oak Tree. It sounds like it is home away from home for the students there. Good luck as you develop the minds of our little ones. We love you guys sooooooo much !!!!! Have a wonderful 4th of July ..God bless all of you.